Finally got part 4 done! 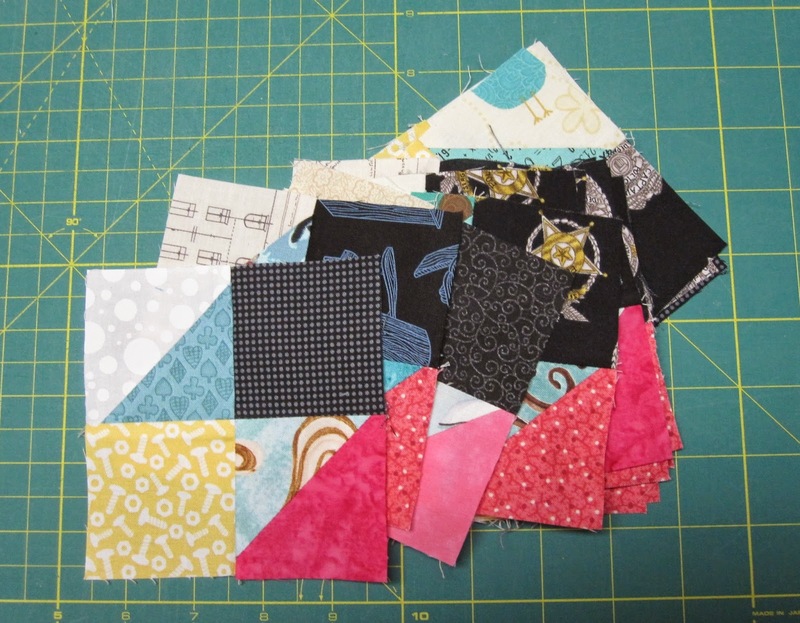 I've been sick in bed with a cold so I am a bit behind on my mystery quilt. 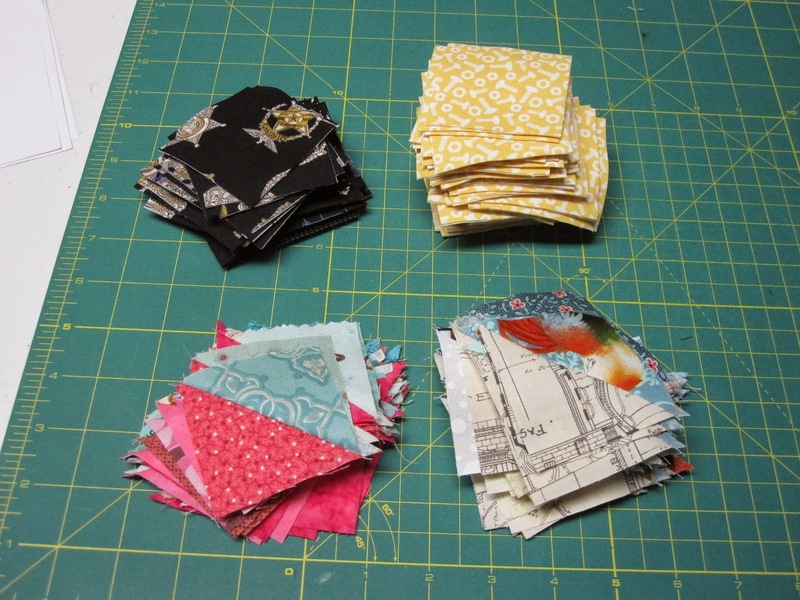 I got all my pieces cut and my half square triangles sewn...I overdid it on the yellow squares...as I was cutting I wasn't counting the fact that I had two layers of fabric so I cut double..oh well. Now these are both Broken Dishes blocks but the layout on both are different, so I had to be very careful and I only did one style at a time. 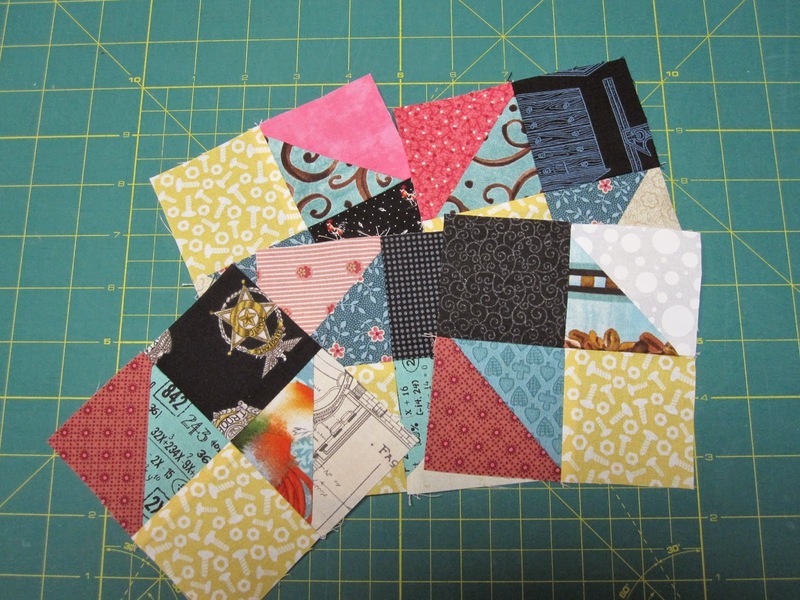 I didn't want to get confused and make a bunch of blocks that I had to rip out later. The pinks and whites on each block are in different corners. If you go back and look at part 1, the first broken dishes block does not have the white/cream color in it. It will be interesting to see how they all go together in the end!